To be a good “big boat sailor” first you must be a good “small boat” sailor. Learning by the seat of your pants is the best way. Jump into the Club’s Pico without any experience and in a few short weeks you will be able to safely pilot your own dinghy. Learn the ropes, the knots and all the tricks! Be prepared to get wet, and bring along your sense of adventure. Course fee includes Start Sailing Book, Proficiency Test & Certification of Participation. At the end of the course, there will be a proficiency test, if you pass, you will be awarded with the Level 1 Sailing Proficiency certificate. 30-minute test paper on boat parts, sailing terminology, weather & tide, basic rules, safety at sea, etc. Able to demonstrate the use of these knots: a figure of 8, reef, bowline, sheet bend, clove hitch, round turn and 2 half hitches. Able to execute a man-over board drill. 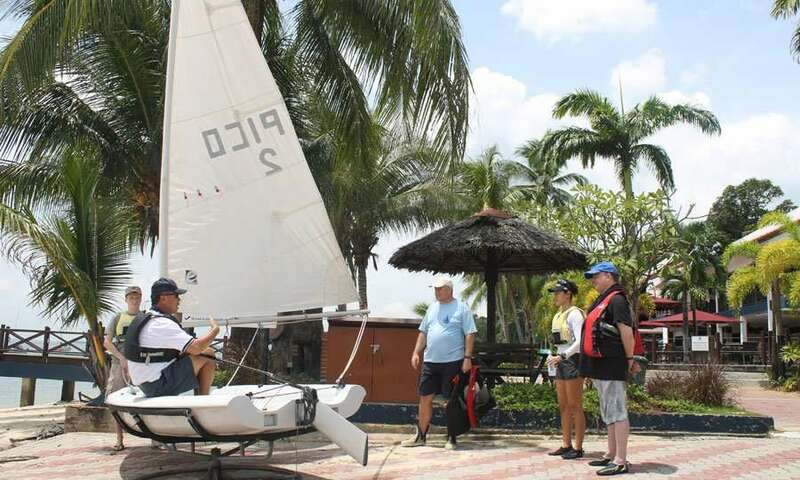 Upon completion of the course, members are allowed to charter club boats for recreational sailing.